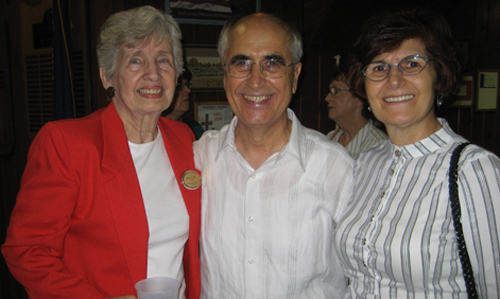 Ali F. Bilir, a popular short story writer and poet from Turkey, met with Tallahassee Writers` Association (TWA) members on October 16th. There was a big interest for the poetry reading event in which Bilir is a guest speaker. Many accomplished local writers and poetry lovers gathered to share the universal language of the poetry. Founded in 1984, The Tallahassee Writers’ Association is a dynamic organization of writers, published and unpublished, most of whom live in the Greater Leon County area of North Florida. TWA’s purpose is to provide fellowship and promote skills among area writers to help them develop their craft and get their writings published. 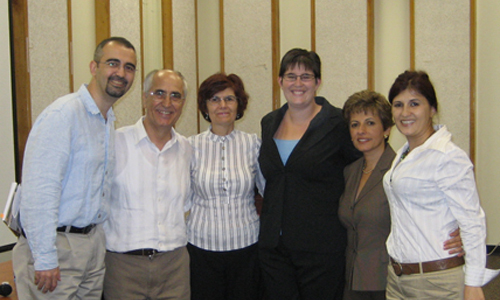 During the event, Bilir’s daughter, Defne (a PhD. student in Interdisciplinary Humanites Program at FSU) recited her father’s poems in English. They also introduced Turkish musical and cultural traditions to the guests of the event. 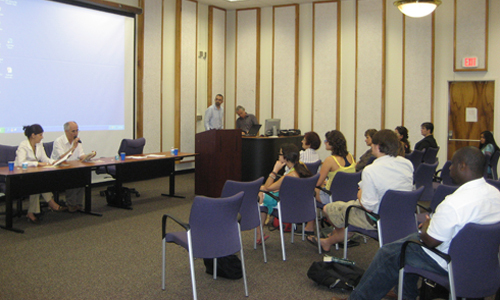 The noted Turkish poet, Ali F. Bilir attended a poetry reading session at Florida State University. He shared examples from his heart-warming poems and signed his latest book, Migration Ballads. 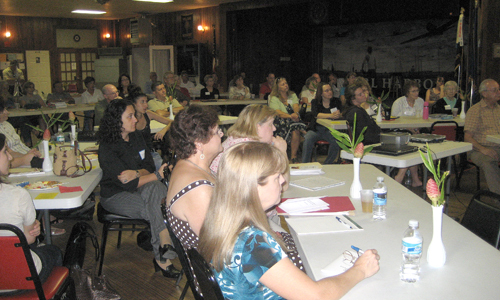 The event took place at Florida State University, Diffenbaugh Building on October 16th, 2008. At the event, Ali F. Bilir’s daughter, Defne Bilir, a PhD. student at FSU, recited his poems in English.